It’s the start of a new season for the Street Fighter V pro tour. Players have been (mostly) taking a breather since MenaRD took the Capcom Cup title. But the leaping green monster has returned, heralding the start of a new season of competitive Street Fighter. Some big names are heading to Atlanta to carve out some early circuit points, and given the changing format, an early lead makes for a nice cushion. Tekken also kicks off its world tour at Final Round, so expect to see some great matches there. Besides being the start of both the Capcom Pro Tour and Tekken World Tour, Dragon Ball FighterZ will also have a big to-do in Atlanta. Plenty of other fighting games will be featured on the streams as well, so head to the tournament’s smash.gg page to see a schedule and list of the different stream channels. Week four wraps up as the stage playoff picture is starting to come into focus. Today, the headline clash is Seoul v. London, a fight for a top three spot with only a week and change left to determine who plays the big Sunday match. Follow the action starting at 4 p.m. ET on the Overwatch League channel. The EU LCS matches are already underway today, while the North American matches start at about 5:00 p.m. ET on the Riot Games Twitch channel. Bucharest may have just wrapped, but teams are already on their way to Indonesia for the GESC Minor, to gather up some more precious circuit points for The International (held in Vancouver this year!) Semifinals kick off tonight at 11:30 p.m. ET, stretching into the daybreak hours of Sunday for the grand finals. Grab some coffee and tune in to the GESC Twitch channel. One tournament was unable to escape the horrors of last year. The WESG 2017 World Finals wrap up this weekend, pitting national representative teams from around the world against each other in CS:GO. I heard the winner gets to go straight to 2020. The streams started today at 10:00 a.m. ET over on the WESG channel. The championship series for Rocket League starts league play for its fifth season today. Look for plenty of Nice Shots! and Holy cows! when NRG and Out of Style start the North American action at 3:00 p.m. ET. Europe will start its season tomorrow at noon ET, with a kick-off match between Paris Saint-Germain and Excel. All the matches take place on Twitch over on the Rocket League channel. Anything we miss? Got a tournament you wanna shout out? 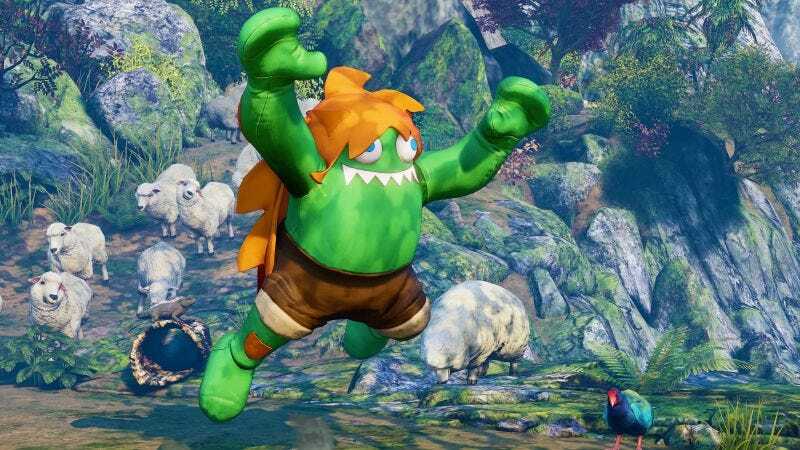 Do you also love Blanka? Let us know in the comments.